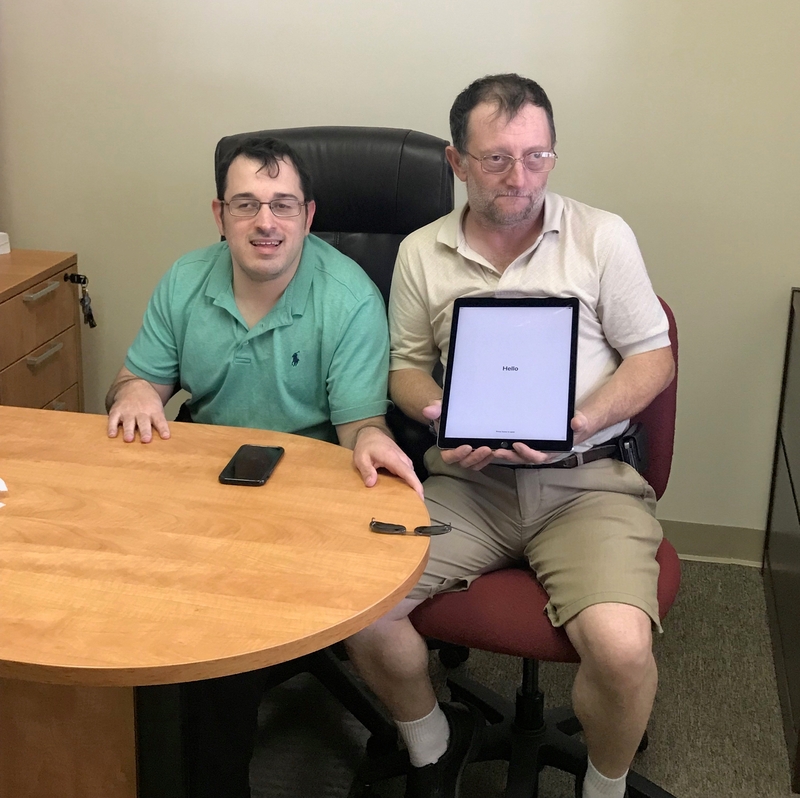 Today our Center aided a consumer with the acquisition of a new iPad Pro that will allow him to add a communication software to improve his two-way communication with others. Independent Living Coordinator, Matt Shelor, with a consumer and his new I-Pad Pro which will aid him with two-way communication in the future. You can find the NRV DRC at 53 West Main Street, Suite A, in downtown Christiansburg, Virginia. Located on the corner of Main and Hickok. Parking for the center can be found in two locations: behind the building (off of Hickok Street) or across the street off of Main. There is also timed parallel street parking on Main in front of the building.